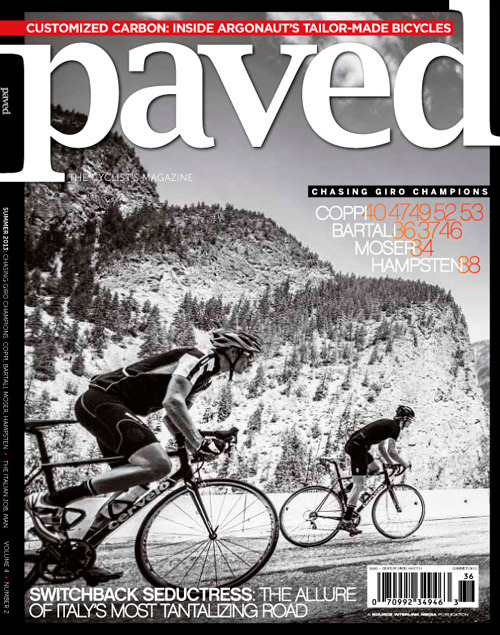 For those of you who are terrified by the deep personal commitment it takes to enter into a long-term, subscription relationship with a magazine, we’re pleased to announce that our Summer Issue of Paved is now officially available on newsstands. Of course, subscribers’ copies should be about dog-eared by now, and we’d guess that at least half of all bike-shop copies have grease stains on them. Either way, the issue is out—and we’re quite pleased with how everything shaped up. Were we into giving themes to individual issues, this one would likely be ‘The Italian Issue’ and those words would be boldly emblazoned on the cover—despite the fact that the cover shot, a lovely climbing number photographed by Robin O’Neill, was taken in Canada, which is not Italy. Nevertheless, we think we’ve packed the issue full of some cool stuff. There’s a review of an out-of-print book about the Giro d’Italia. Out of print? Yes, out of print. If you read the review and think you might need to find a copy, we’ve found several on Ebay. 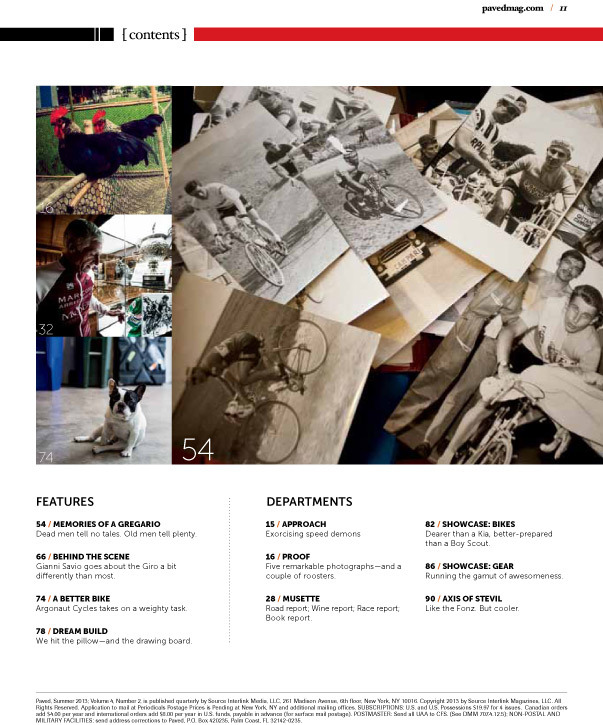 Then there’s a dual profile on domestiques who suffered in the service of none other than the Italian icons Gino Bartali and Fausto Coppi. Our Irish Roman Colin O’Brien does a lovely job of introducing us to Francesco Moser—via wine. Gregg Bleakney goes behind the scenes with some loveable Giro d’Italia underdogs. Jen See teaches the Stelvio’s seductive history. We won’t let you forget that, 25 years ago, Andy Hampsten became the first American winner of Italy’s grand tour. And our pal Stevil gets retro with an ode to the humble hairnet. And of course, we tossed in a few non-Italian things because we really didn’t feel like stamping ‘The Italian Issue’ all over the cover. If you’re violently averse to paper products and/or a fan of the instant gratification to be found via iTunes, you’re only a couple clicks away from the digital edition.